WCC played Olten CC in their second game of the day. Fresh from their victory in the first game, WCC made four changes in the team to accommodate players from their big squad. The toss was won by Olten CC and they elected to bat. WCC opened the bowling with Hasta and Asghar. Hasta promptly started with his usual quota of consistent wides :-D (6 in the first over!) but also managed to pick up a wicket of the opening batsman. Asghar repeated the act at the other end with 3 wides, a boundary and six being gifted but he too picked off the other opener. This brought together the batting mainstays of Olten, Murali and Ali who proceeded to start hitting the boundaries of the next overs of Hasta and Asghar. Pradeep and Jagath managed some control and were able to restrict the batsmen for a bit but then the batsmen started scoring at will again. The next set of bowlers, Jico and Dipi were also carted around for a handful of runs. Hasta bowled another over in his second spell and dropped a straightforward caught and bowled chance of Murali in the first over. This proved expensive as the batsmen scored 18 runs off the remaining 5 balls. 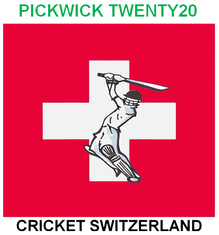 At this stage, there was huge frustration as Olten looked set for a score well in excess of 240. In desperation, Tom turned to Prafull who delivered with the two wickets of the set batsmen. After this point, WCC rediscovered their bowling mojo with Pradeep, Dipi and Jagath bolwing well and restricting the remaining batsmen to only 30 runs off the remaining 6 overs. Olten finished with 192 runs for 9 wickets with Prafull picking 3 wickets with Pradeep(2) and Dipi, Jagath, Hasta and Asghar with one wicket each. 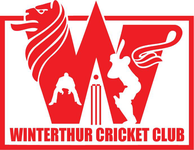 The fielding and catching were appalling from WCC and the line that was bowled during the first half of the innings allowed the batsmen to cart the bowling around for easy runs. It was always going to be a difficult chase but Callum and Jico scored a few good boundaries and kept the scoreboard moving. The pace of the opening bowler of Olten, Shane was too hot to handle for our batsmen and hence, Callum (11), Zico(11) and no:4, Rohan got our in quick succession. Prafull tried to hang in there and replicate his form from the previous game but did not succeed despite a long stay in the middle. Jagath, Tom and Mohammad also fell cheaply and WCC was left with an impossible chase with very few overs and wickets left. The asking rate suddenly became more than 15 runs an over with only 3 wickets in hand. There was not much life left in the game but Pradeep and Dipi played entertaining but contrasting knocks of 20-plus each. Once Dipi was out, Hasta and Pradeep tried to ensure we werent at least all out before 20 overs. But then Pradeep and Asghar got out in quick succession to end the innings for only 100 runs. It was a very mediocre batting performance but with the bowlers having given away so many runs, there was never really much chance for WCC. That brings us to the end of the report on an eventful day of contrasting fortunes for WCC. But, as they say - you win some and you lose some :). Hopefully by the end of the season, we would have won more than we lost.